The Ministry of Foreign Affairs (MoFA) summoned Pakistani diplomat over Pakistan’s Prime Minister’s Imran Khan’s recent irresponsible comments on Afghanistan. Imran Khan during a public gathering in Bajaur, a district of Khayber Pakhtunkhwa province, said that a new government would be established in Afghanistan soon. He also expressed the hope for peace and reconciliation in the war-ravaged country during his speech. According to a statement from the MoFA, Pakistan’s Embassy representative was summoned and asked to provide explanation regarding Imran Khan’s remarks. The statement termed Imran Khan’s remarks as blatant interference in Afghanistan’s internal affairs which not only irked a strong reaction from the Afghan government but also from the people of Afghanistan. Meanwhile, besides upcoming presidential candidates, Senate Chairman Fazal Hadi Muslimyar and politicians strongly condemned Imran Khan’s irresponsible remarks. They said the people of Afghanistan would never allow anyone to interfere in the internal and external affairs of their country as only Afghans reserved the right of shaping issues related to their national interest. Meanwhile a number of Afghans took to social media and criticized Imran Khan’s remarks, saying Pakistan has time and again made blatant interferences on domestic issues of Afghanistan and the country had never spared any effort in extending overt and covert supports to the terrorist groups, including that of Taliban to destabilize the country. Despite of international criticisms, Pakistan appears unlikely to change its policy towards Afghanistan. The country continued to view its support for the Taliban as a way to exert political influence over Afghanistan. The anti-Pakistani rhetoric voiced by Afghan politicians, in particular President Ghani, that described Pakistan as the ”center of the Taliban” in 2018 and has openly accused Pakistan of treating wounded Taliban fighters, suggests that stabilization of Afghanistan under President Ghani’s rule will keep away Pakistan from Afghan affairs. Although Western analysts frequently exaggerate the Taliban’s dependency on Pakistan, some Pakistani policymakers are concerned that withdrawing support for the Taliban will give Afghan government the upper hand in an eventual peace settlement and reduce Pakistan’s relevance as a stakeholder in Afghanistan. Contrary to that Afghanistan wants a stable and developed Pakistan, the neighboring country has continued to devastate Afghanistan so that to achieve its vicious goals.Even though the Pakistani government is facing intensified pressure from the international community to scale back its links with the Taliban, Pakistan continued to host Taliban leaders and their families and even extended military support to them in fight against the Afghan people. 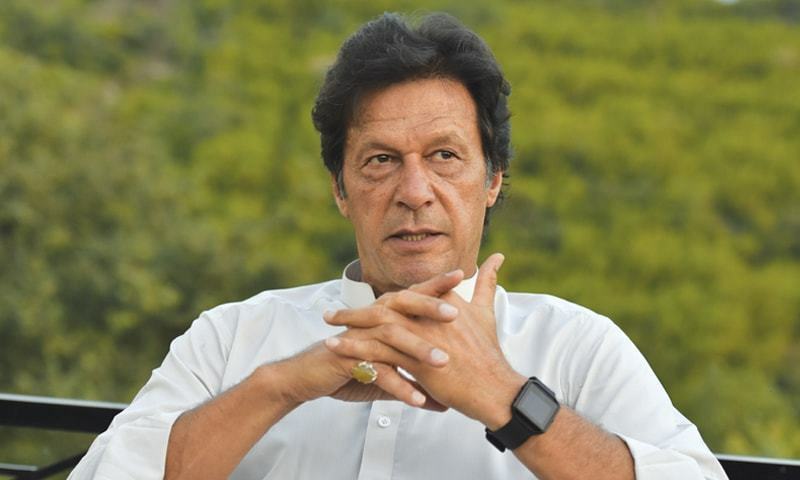 But as Pakistan remains committed to Taliban support and mired in a fiscal crisis and faces growing international criticism, Khan will have to weigh his Taliban policy against Pakistan’s economic well-being and international image. Instead Khan to avoid irresponsible remarks against the Afghan people and the government, rather help improve the shaky relations between the two countries. Pakistan’s continued blatant interferences has now affected its political and economic situation too. As the country struggling to revive its economy, Khan is needed to once again revive its trade ties and establish friendly relations with Afghanistan, instead of isolating and putting his country into further chaos.